Courtesy of Ascent Real Estate, Inc, Timothy Stigers. 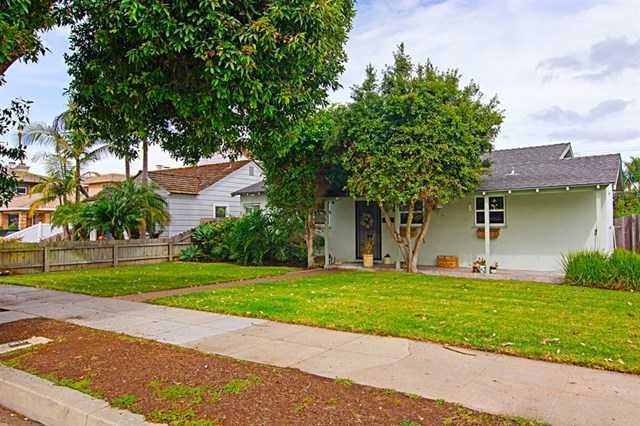 Upper Ocean Beach cottage just bursting with potential. 7,000 square foot lot, with alley access, increases the many opportunities to create something really special in this highly desirable location. Wood floors, period built-ins, rear covered patio, and gobs of character. Detached 1 car garage with adjacent/attached studio and bath (permit status unknown,) with ample parking behind garage. Trust sale. Trustee has never occupied property, and offers limited knowledge of property. 2nd bath is in studio. Based on information from California Regional Multiple Listing Service, Inc. as of April 22, 2019 22:02 and/or other sources. All data, including all measurements and calculations of area, is obtained from various sources and has not been, and will not be, verified by broker or MLS. All information should be independently reviewed and verified for accuracy. Properties may or may not be listed by the office/agent presenting the information.